The twins and I just got back from a two week trip to Florida to visit my parents, which means I flew by myself with two 21 month old boys. It was fun. It was intense. It was filled with memories. It was exhausting. This is a snapshot of how it went. Between staring out the window at all of the airplanes, watching Bubble Guppies, and eating an abundance of snacks, we all had a pretty good time flying together. Daniel and I have flown with them together before, so I knew what to expect a little bit. But this was my first solo venture, so I was a little (a lot!) nervous about how it would all go. In God's kindness, these sweet boys exceeded all expectations and made it a fun ride. No, I don't want your help. 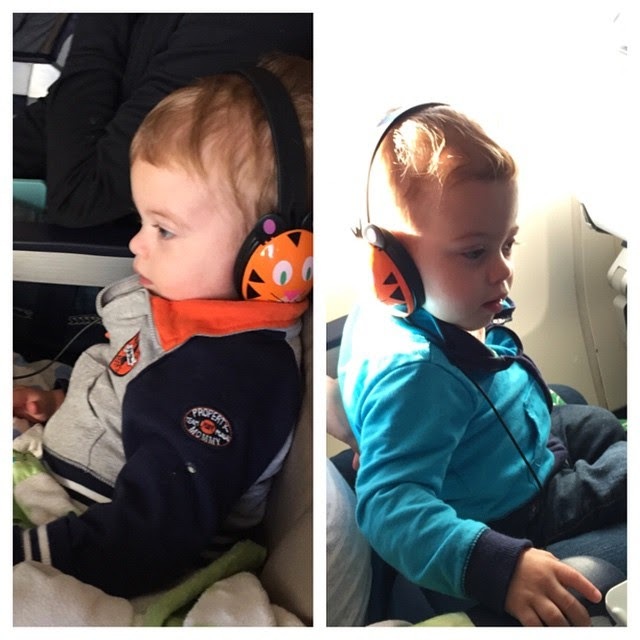 I want everyone to marvel at how I mastered flying alone with twins. It's awful, really. Only a crazy woman refuses help when she's trying to wrangle two busy toddlers. But I am that sinful, crazy woman. The very essence of pride is a desire to make much of yourself, to puff yourself up in front of others. 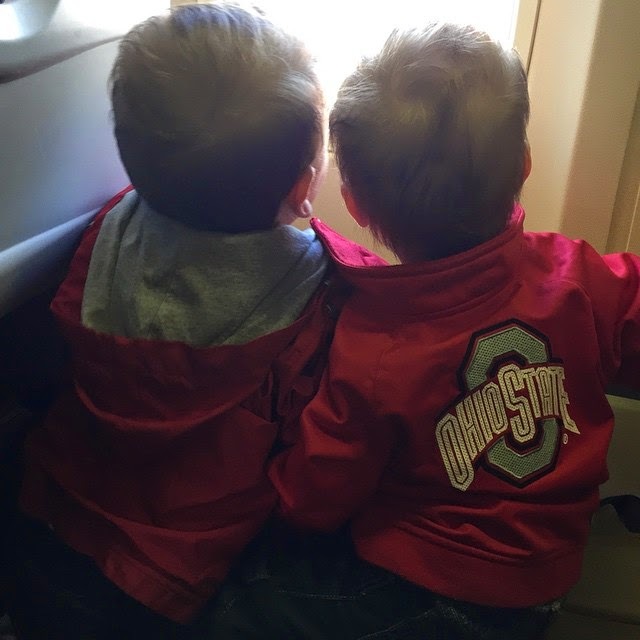 It can even come across as noble and good, like taking care of twin boys on a flight to Florida, but it's still pride. I've written before about my struggle with accepting help from others, and while my circumstances are different this time around, it still lurks in my heart. It doesn't help that I live in a culture that prides itself on self-sufficiency. America is about the self-made man or woman. America celebrates independence, not dependence. We marvel at the woman who does it all. We praise the man who came from nothing and made himself into a successful businessman. We love a story of survival and grit. But that is not the way of Christ. As a Christian, everything I have is owing to the merits of another. My motto should be "nothing in my hands I bring, simply to thy cross I cling." So even in my best moments as a mom, wife, friend, or writer, I'm still coming up short on the sufficiency front. It's pride that feeds me lies, making me believe I'm doing better than I truly am. Now that I'm home, I'm glad all those people offered to help me. It made the trip much more enjoyable. It protected my boys from running off when I couldn't move fast enough to catch both of them. It even allowed me to make some friends on the flights. So the next time someone offers to help me, I want to accept with a willing and grateful heart, rather than as a woman who thinks she's got this whole mothering twins thing together. Because, let's face it. I need the help.